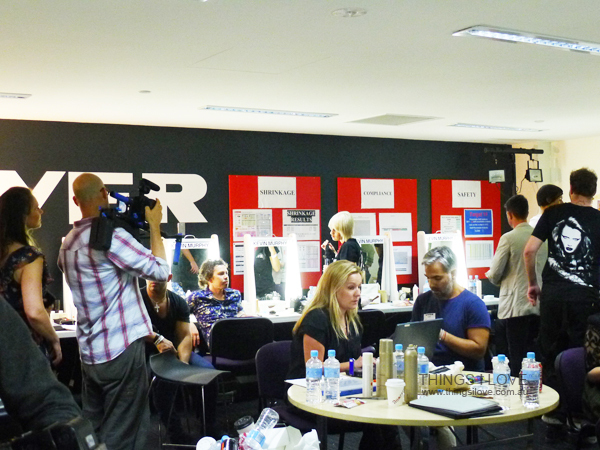 The L’Oreal Melbourne Fashion week (08-15 March) and various new season fashion shows have come and gone. Whilst I’m not a fashion blogger, I like to keep a watching brief on the trends that come out for each season. There are many reasons for doing this but the 2 main ones are so I can see if there are any pieces that I can take from the catwalks and make it work in everyday life – I find footwear and accessories the easiest to incorporate into existing wardrobes. The other is to see the stunning makeup and hair designs that come out of the catwalks – seriously, the pieces of work that come out sometimes are more of an artwork themselves than the clothing that hang off the models sometimes. With that in mind, when I had the opportunity to interview Clare Lille, Head of Makeup Artist for the Myer Autumn/Winter Fashion Launch & Makeup Director of Illamasqua 2 weeks ago, I knew I couldn’t say no even if my work schedule didn’t really allowed for it. 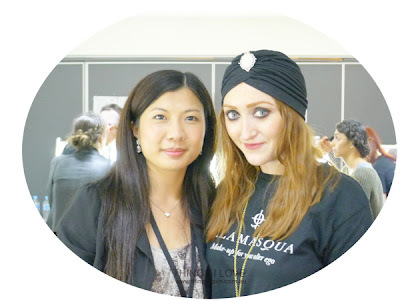 Clare is a beautiful creature, her striking eyes enhanced with smouldering black khol and hair under a gorgeous turban immediately captivated me when I first met her at the back stages just 1 ½ hr prior to the fashion show opening that evening. As Clara had a busy schedule, I only managed to catch her briefly and asked a couple of questions before she moved on with the next interview. 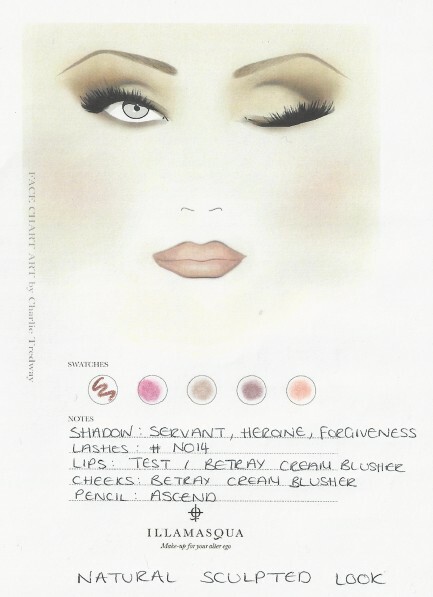 I’ve been with the Illamasqua for 2 years and am one of 6 educators at the training school and have been assisting Alex Box and David Hall with all the collection design and looks – it has been an amazing and fabulous journey because you can create your own look from daring to be different to natural, it’s all achievable and limited only by your creativity. What’s your style and inspiration. I love the vintage look so the golden eras and 50s, 60s and 70s are all my inspirations. I love the unstructured look and on myself, I lean more towards natural beauty and like enhancing the features of one’s face. What looks are you doing today for the models? There are 2 looks going : on is an understated natural look with a modern androgynous twist that adds a bit of the London edge where the contouring is focused on the brows and eye area to give it a bit more of a sculpted feel but still keeping the rest of the face pretty neutral. 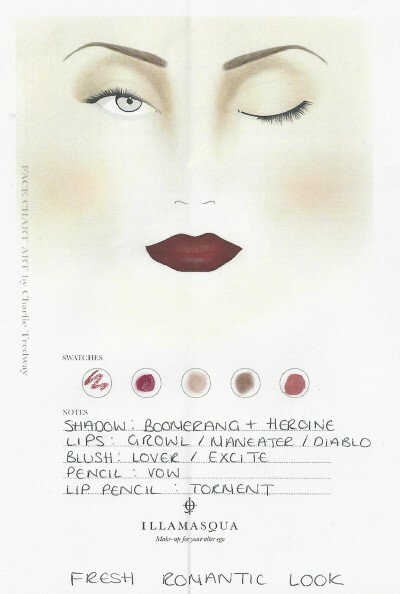 To balance, we have a muted stained lip look using one of the lip pencils which balances out the rest of the face. The second is a soft wispy beauty that is very natural, a bit unkempt on the hair, the eyes are softly smoked with a plum shade and lightly lined eyes. The face is fresh and not overly glowing and finished off with a rose petal lip. 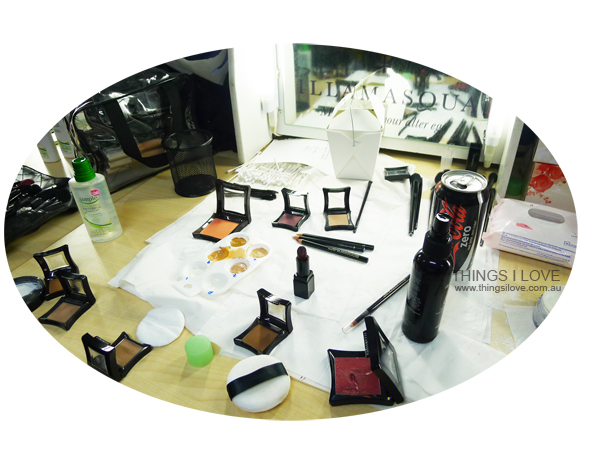 What can we look forward to from Illamasqua? 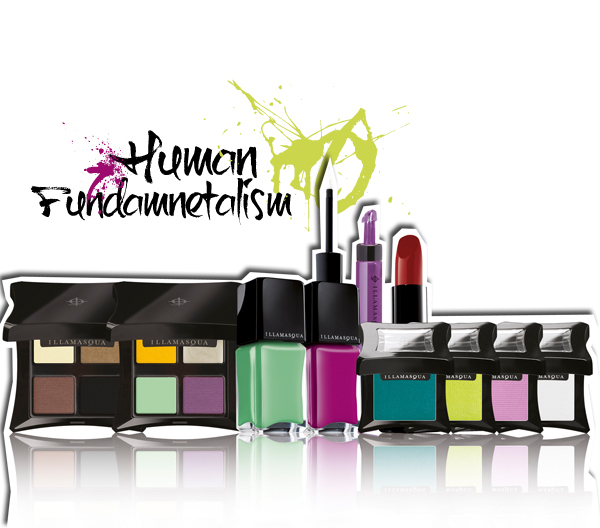 Well the new collection called Human Fundamentals out this month is just beautiful. The colours are vibrant, the lines sharp and allows everyone to express their inner self to the outside world but is versatile enough that you can incorporate into your everyday look. Thank you Clare for taking the time to answer a few of my questions! I also managed to catch the Kevin Murphy team in action as they did the girls and guys hair that even. Boys were looking very natural with slightly texturised hair that had the finger run through the hair feel and girls had small side plaits on the that was gathered and sewn onto the sides of the head and its ends teased out for that wispiness (great for wedding hair I’m told). I caught a styling tip on getting perfect hair during prep time: blow dry your hair in the final stages under a hair net to set everything in place. It also works to help maintain a style in humid weather so there is no need for touch up when it comes time to walk that catwalk – genius much? Alas, I did not have time to stay and watch the fashion parade as I had to get back to the office and finish off work till the dark hours that night but here are some official photos of the parade that evening. Additional photography courtesy of David Caird & Lucas Dawson.